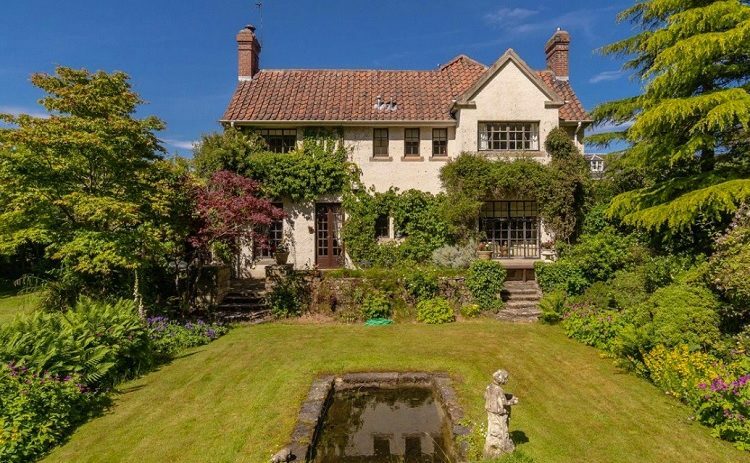 A wonderful period property in a private setting is on the market, offering 16 acres with countryside views. Presented for sale by Savills , Corrachree House in Tarland, near Aboyne, Aberdeenshire, is a detached early Victorian two storey home dates back to 1842 with rear additions made later in the late 19th century, offering five public rooms, seven bedrooms (four en suite), beautiful garden grounds, a pond, a walled garden and stable block. 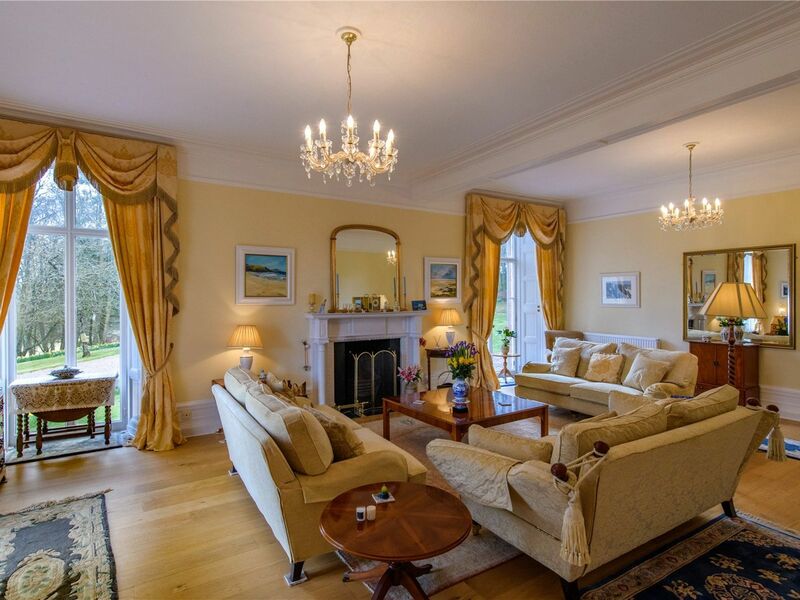 Particular features include the entrance door flanked by paired columns, the bay windows, along with floor to ceiling height rectangular windows to the ground floor and rectangular windows to the upper floor, predominantly 12 pane sash and case windows. The property enjoys an abundance of natural light throughout, along with good storage including fitted wardrobes and built in cupboards. Traditional features include, deep skirting boards, picture rails, cornice work, some open chimney fireplaces, window shutters, brass power plates and light switches. Storm style doors open into the square reception hallway. Flanked on either side are the two principal reception rooms which are both exceptionally light and bright with lovely views. An informal space is provided by the family room which has a wood burning stove. 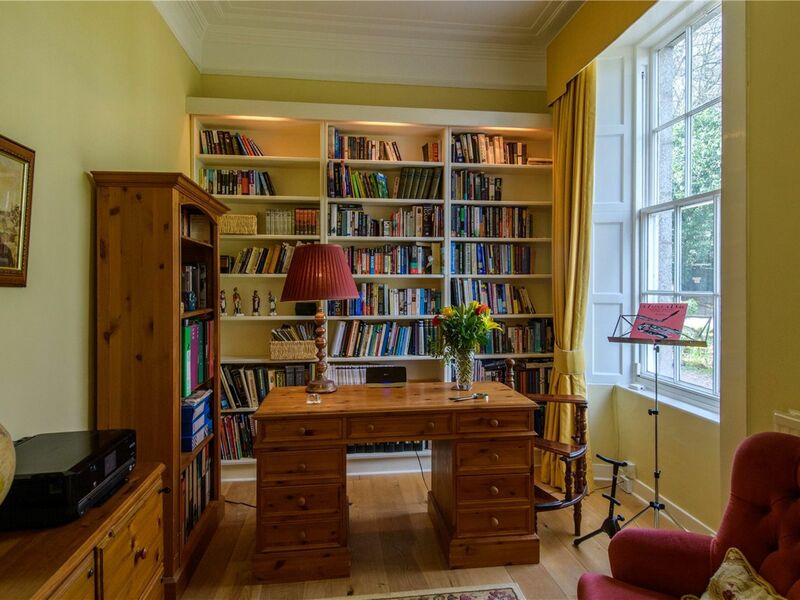 An open archway opens into an area fitted with extensive bookcases. The dining kitchen has recently been updated with custom built base and wall cabinets which are Neptune Chichester complemented by silestone work surfaces. This room is the hub of the house with an island unit and a cream five oven Aga along with patio doors which open onto the rear courtyard. A large boot/laundry room provides space for everyday domestic tasks, and is served by a cloakroom with WC and wash hand basin. For multi-generational living, or as a source of potential B&B income, there is a self contained annexe which can be incorporated into the main living quarters or remain separate. Currently the configuration is a games room, snug/television room and two en suite bedrooms. From the main reception hall, a staircase sweeps up to a large landing with a curved ceiling. 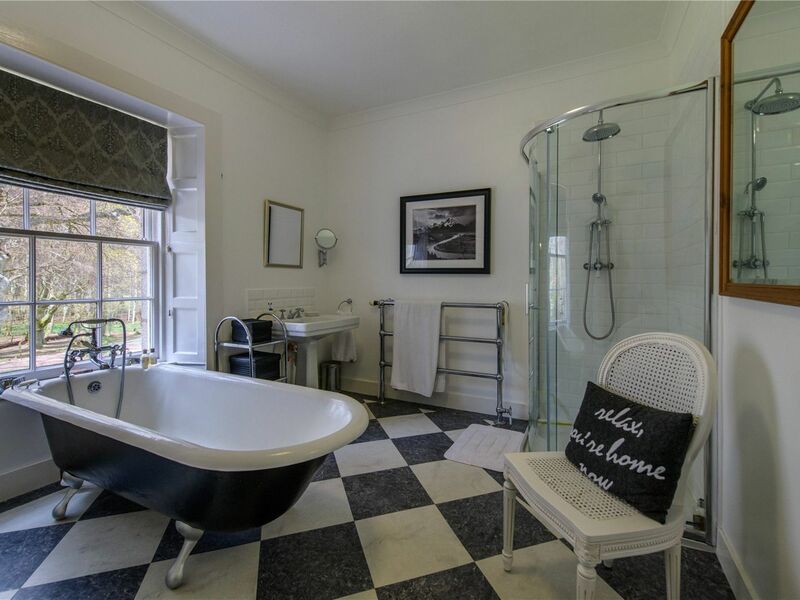 The principal bedroom has twin aspect windows and countryside views along with an en suite with separate shower enclosure and bath. A second bedroom has an en suite shower room and there are two further bedrooms. Accessed from the inner hall staircase is a bedroom and family bathroom with free standing roll top bath and corner shower enclosure. 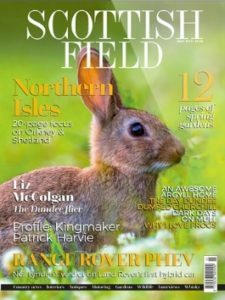 The initial driveway is shared with Corrachree Farm; this leads to a private driveway which in springtime is lined with a bloom of colour from seasonal bulbs including snowdrops, daffodils and crocuses. There is a wine cellar within the sheltered courtyard. Outbuildings include a workshop, log store, vehicle port and dog kennel, all constructed from timber. 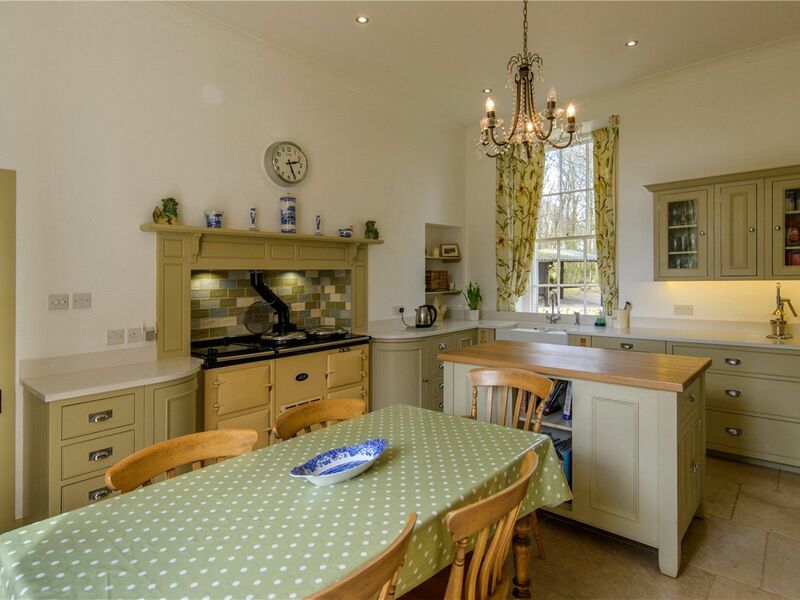 Corrachree is an exceptionally handsome house in a wonderfully private country setting. Rich with period detailing it has been sensitively updated and is now a spacious but welcoming family home, with the attractive benefit of an optional self contained apartment and equestrian facilities to be further developed if desired. 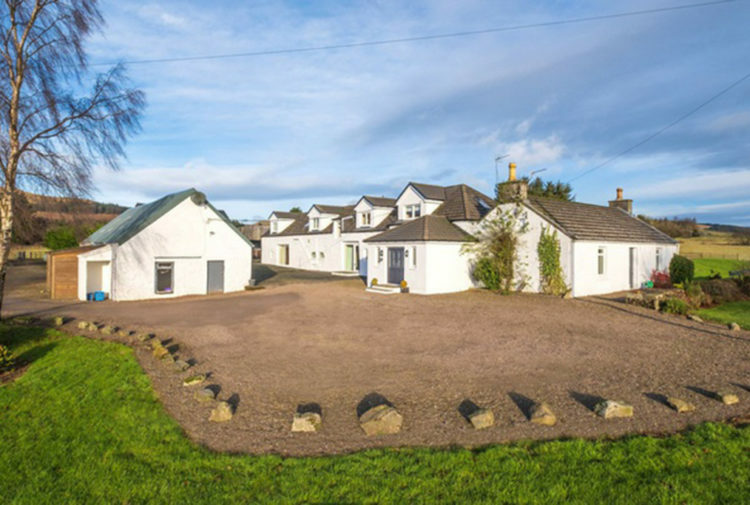 Tarland village lies in the middle of the Howe of Cromar, a natural hollow of land on the eastern edge of the Grampian Mountains, between the rivers Dee and Don, close to the boundary of the Cairngorms National Park and within the view of Royal Lochnagar. The area itself is low lying land with a mixture of farming and forestry. It is flanked by hills such as Morven in the west and Pressendye in the north, which in particular gives expansive views back over the Howe of Cromar. The village of Tarland lies some 30 miles due west of Aberdeen, the economic centre of the region, and four miles northwest of Aboyne, the nearest significant town. 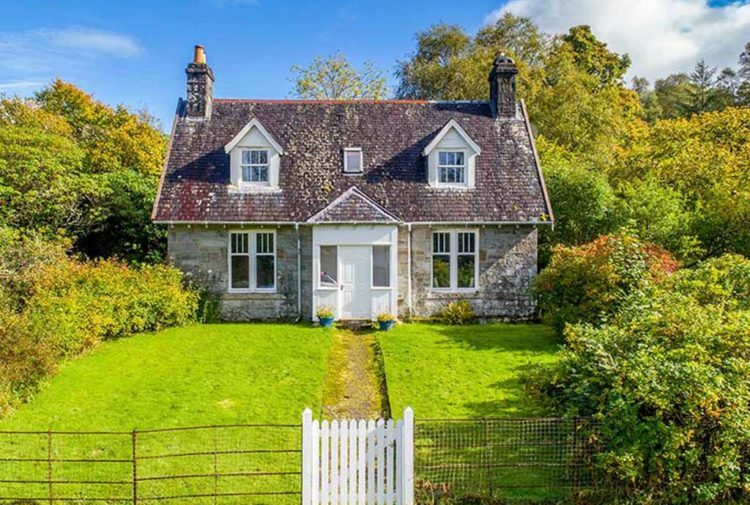 The surrounding land is predominantly agricultural in character and Tarland has over time developed a range of amenities suited to the needs of this rural area, as well as a number of sporting and recreational facilities. The traditional Victorian village square accommodates a number of businesses, including a small supermarket, chemist, coffee shop, two hotels, toy shop/post office, craft shop and village hall. Tarland has a golf course, a caravan and camping site, and is the start off point for the Tarland Way walk and cycle path. It is a popular centre for hill walkers, mountain bikers and tourists. 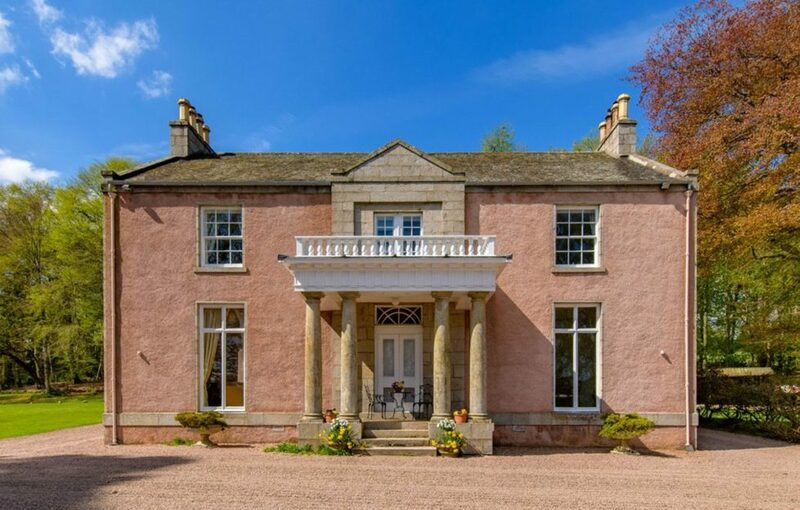 Douneside House, part of the MacRobert Estate, has a local health club and fine dining restaurant. Aboyne is an attractive small Victorian town in Royal Deeside and the main centre for this rural district. There is a supermarket, top class academy and primary schools and an excellent community centre providing theatre/cinema, full size swimming pool, badminton courts, library and gym. The town also has a health centre with five resident doctors, weekly optometrist and audiometric clinics and a cottage hospital. The local council snow base is close by ensuring that Aboyne’s roads and pathways are always clear even in heavy snowfalls as well as the main routes to all important centres. Aboyne is just 30 miles from the oil industry centre of Aberdeen giving an easy, traffic free journey of around 45 minutes to the city centre or airport. Aberdeen International Airport has at least eight flights daily to London and operates routes to many other destinations including Amsterdam and Paris. The mainline railway runs frequent daily express services to London as well as regular services to other parts of the country and an excellent overnight sleeper service to London. The agents will consider offers over £925,000.